BGO casino or rather “Be-go” as the name is pronounced, was initially a bingo type of a gaming site where everything that was available was about bingo games for UK punters. Perhaps that’s where the name came from. Thankfully, as we speak, BGO not only offers all bingo content but also offers all types of casino games including roulette, slots, poker and much more since it was changed in 2012. It is however still a progressing gambling website since it is not fully stocked with games as currently, it has about 200 games which keep being updated consistently no download titles. This site is managed by the BGO entertainment Ltd, and it is licensed and regulated by the UK Gambling Commission as well as Alderney Gambling Control Commission. 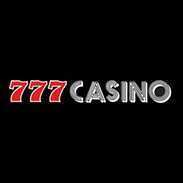 As such, it is without a doubt one the most trusted casinos in the world. When it comes to software provision, NetEnt, VMS, Playtech and many more providers have BGO covered supplying it with top-notch gaming no download software. In case you’ve ever wanted to know all about this gaming site, well, there’s no time like the present. Today’s post is an exclusive review of BGO casino so, read on for the next couple of minutes to know more about this great upcoming site. 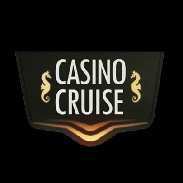 Welcome offer- after you have just finished creating an account in here you are entitled to a certain gratuity which is worth up to free 50 spins after you have made the first deposit. Live casino first Deposit promotion- this is another offer which you get immediately after you have made your first deposit of up to £10. 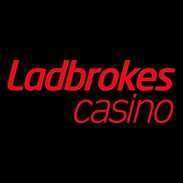 You are awarded one free golden chip as well if load £20 or more in your gaming account. Bingo first deposit promotion: with this offer, you get 100 free candy club points if you deposit £10 and this goes up to 500 candy club points depending on the amount you load. 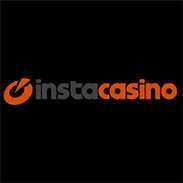 Referral offer- If you refer a friend, you both receive a £20 cash reward and ten free spins. Invite as many of your friends as you can so that you can both be rewarded! Tier bonus- this one is given depending on the amount you have wagered since the month started and the end of the month. Additionally, the more you bet, the more your free spins bonus increases. Now that you know what’s in it for you once you become a member, we’re going to take you through the terms that you must fulfil to secure the rewards that come with your offer. As usual, failure to meet all the understated requirements will lead to the immediate nullification of your bonus offer. So, pay attention to the details of the conditions below. First off, after you have made your first deposit which is a minimum of £10 you will receive a bonus which is normally free spins. Once you load your first buy-in, you can start playing for real money. The free spins can be used to play in popular NetEnt slots such as Starburst, Hansel and Gretel, Fairytale Legends. Any winnings you will have made with those bonuses will be given in the form of real cash. Thankfully, the house has no betting conditions connected to them. The new player bonus is not available to players who use Neteller or Skrill as their first deposit method. For the welcome bonuses, there are no wagering requirements on these winnings. When you are given free spins, make sure they don’t stay unused in your account for longer than three days because they have a validity of 3 days. The welcome offer is independent and cannot be merged with other offers that you may have unlocked. The offer is only available for new accounts that have been created at BGO. The minimum amount you can cash out after placing wagers with the bonus is £20. For triggering the golden chip offer, you must load a minimum buy-in of £20, and you have to use the code “LIVE” during the depositing process. You can use the awarded Golden chips on live games of blackjack, roulette, and baccarat and if unused, these chips will expire in three days. Every golden coin that you receive is awarded a value of £1 so, for more value, load higher deposits so that you can receive more of these chips. Candy club points will only be awarded to you in your gaming account one day after you have redeemed the bingo new player offer. These sweet points are valid for three months (90 days) before expiration. The candy club points can only be redeemed for bingo tickets only and not any other game in the lobby. You should use the promo code “BINGO” to trigger the awards of this bingo offer. To sum it up, you should also know that the standard terms and conditions apply for bonuses at BGO also apply for all the mentioned promotions. So, the best thing you should do once you become a member is to visit the terms and conditions section of the site. There, you will find all the extra information you may need. You are allowed to use credit card or debit card varieties as the majority of the cards accepted here. Your options include Maestro, Master Card, Delta, JCB, American Express, VISA Debit and VISA Electron. BGO also accepts online payment e-wallet methods which include; Neteller, PaysafeCard, Skrill, Ecopayz, Entropay and PayPal. Wire transfer using your bank account is also accepted for both deposits and withdrawals. For your information, all banking transactions are safe, and 128-bit SSL security encryption is used to guarantee the privacy of your personal information from hackers. BGO also has a “one wallet” system to adhere to international money laundering regulations. For example; you are only allowed to cash out with the payment option that you used to deposit your funds. In case your deposit option can’t be used to cash out such as PaysafeCards, your funds will be sent to your bank account once you cash out. Without question, you first have to be a member of the casino so, if you aren’t already a member, you must start by creating your account. After you have done this, you can go to the depositing page by clicking the “deposit” button from ‘my account’ and choose your most preferred method of loading your account on the form. Once you have selected the appropriate method for you to work with, then you will be prompted to enter your credentials where needed. Then as soon as you have done all that enter the amount you wish to load and make sure that it is not above the required amount. When done, hit the confirmation button and complete the deposit process. It’s as simple as that; there’s nothing complicated. In your account click the “my account” link which can be found at the top of the page. Once you are navigated to your account’s section, click the “withdraw” button to initiate the cashing out. Again, the BGO system will prompt you to confirm if you want to withdraw the required amount and then you will finish the process. A confirmation message will be sent to you to inform you that your withdrawal has gone through successfully. Additional Information that will come with the e-mail message is the withdrawal time where you will be told that the maximum withdrawal time is 3-5 business days depending on your cash out option. Moreover, depending on the amount of money you are about to cash out, additional verification may be needed by the site. The best thing about this gaming site is that all deposit comes with no transactional fees except for amounts below £500 where you will have to part with a 2.5% levy. Every single transaction is free except for withdrawals where you will be charged a £2.5 commission depending on the payment option that you use. For instance, international wires will incur a levy of £15 for every transaction. Apart from the transaction fees, here there is complete information on the payment methods, deposit time and the maximum amount you can load or cash out. Credit cards- when you cash in with credit cards such as Visa Electron, Mastercard, Maestro and Visa, the processing time is almost immediately, and the maximum deposit you can make is £99,000. Cashouts are typically processed within three days. PayPal- the maximum amount you can deposit and withdraw with it is £5,000. 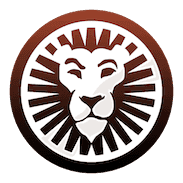 Skrill- the highest amount you can load or cash out here with Skrill is £80,000. Bgo Cash Direct- £5,000 is the maximum amount you can load. Neteller- the highest amount you can deposit or withdraw from this casino using this method is £30,000. PaysafeCard- £200 is the maximum amount you can deposit to this casino with Ukash. Fast bank transfer- it takes up to 5 days with the maximum amount of deposit being £100,000. Bank Transfer-it takes between 3 and five days with a deposit and withdrawal limit of £100,000. Cheque- this can take up to 10 days with the limit set at £100,00 for depositing in BGO’s casinos. The following are factors that make BGO casino to be one of the best casinos that you can spend your time and money at. When it comes to games that BGO casino they have high-quality games from trusted software providers such as Playtech, Microgaming, and Net Entertainment. These software developers are well known because of their prowess in game designs. All their games are no download because they have autoplay feature. This is possible since they were created using HTML5 and instantly play techniques. The house offers a range of convenient buy-in and cash out payment solutions with instant deposits. BGO offers an immersive live dealer client with HD live streaming where you can play against the dealer and interact in real time. This casino offers lucrative bonuses both for newcomers and ongoing members of the site. The terms and conditions for claiming bonuses are quite favourable, and some promotions don’t even come with strings attached. A great customer care team is always on standby for helping out players when a problem arises. With everything that we’ve covered in this BGO review, we trust that you are now ready to dip your toes into the BGO waters. For sure, it is an excellent gambling platform that will reward UK players from the word go. Owing to the impressive developers that power this gaming house, you can be assured of a rich gambling experience irrespective of the titles that you want to play. In particular, we are impressed by the fact that you aren’t required to download any software for you to enjoy the games that are on offer here. Through the instant-play interface, you can easily load the games from your browser and start placing real money wagers. Despite the few shortcomings such as the sneaky fees that are involved in both deposits and withdrawals, there’s a great deal to like about BGO play online services. All you are left with as a player is to create an account, make a deposit and claim your bonuses. What more could you ask for? 0 responses to "BGO Casino Slot"